I'm a self-proclaimed, "Quilter who knits." As such … I knit a lot, whenever I'm not quilting (sewing) I'm usually knitting. Knitting is good for you - it's social (I'm in a knit group), it's lo-cal (you can't eat when knitting), it's generous (if you are knit-worthy), there's even research that says knitting is good for your mental health. 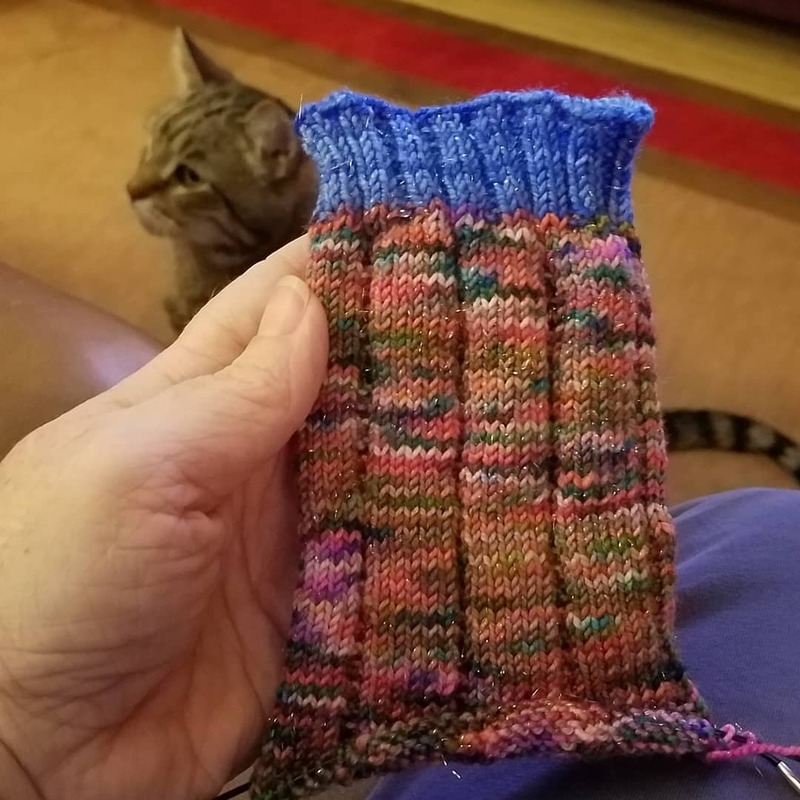 So … I knit. I recently started a new pair of "social knitting socks." They are an easily executed pattern that I can do while visiting and chatting with my knit book, waiting at appointments, in the car, etc. 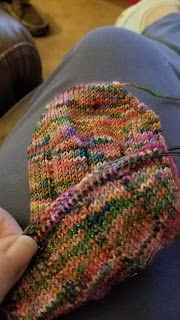 I got so involved in these socks that I inadvertently stitched the pattern on the top of the foot (normal) AND the bottom of the foot (not normal). 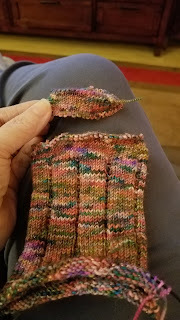 Then I picked about a lot of yarn bits, picked up the live stitches (this took several attempts), and knit a cuff in a contrasting color. 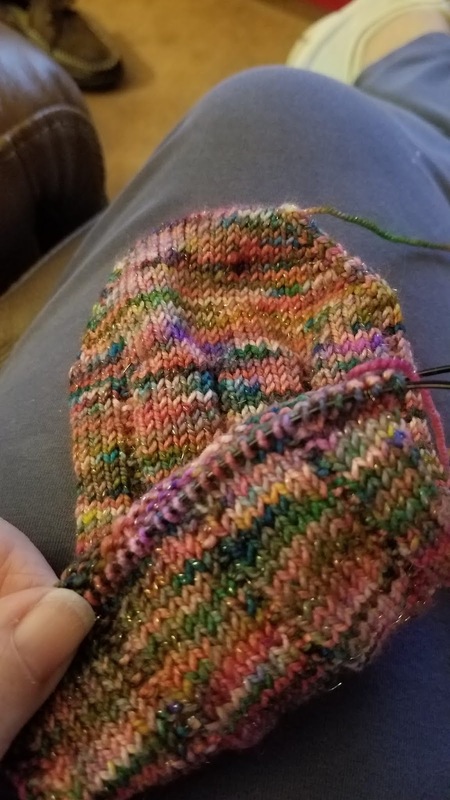 The contrast color will be for the heel and (new) toe, too. 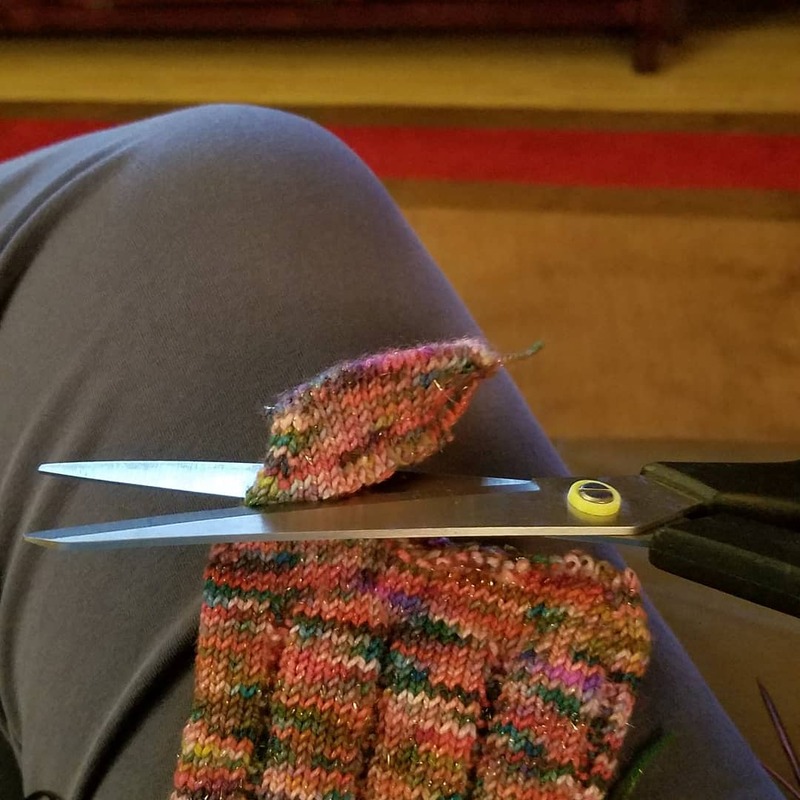 The Ninja Knitting took exactly the same amount of time as a hockey game - just long enough for the CAPS to lose (insert sad face.) 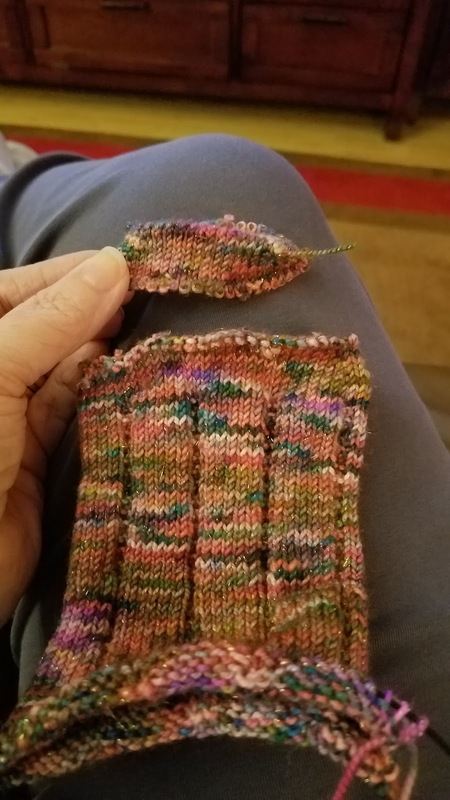 And now, my social knitting sock is ready to go … what was the foot is now the leg and I'm ready to knit a heel (and foot).